Are you worried about running an application on your machine because you’re not sure how it will affect it? 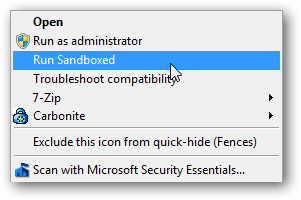 Today we take a look at Sandboxie, which lets you run your browser, email, or other apps in a secure sandbox environment without making changes to your Windows system. Sandboxie creates a virtual environment called a “sandbox” that lets you run applications without affecting your actual computer system. You can install a new application in the sandbox environment to test it out, without having to worry about it making changes to the OS. It allows more security when browsing the web as well…when you open a browser in the sandbox environment, the cookies, site history, cached files, etc are deleted when you clear the sandbox content or shut it down. Installation is straight forward and easy following the installation wizard. It runs on 32-bit versions of Windows, but unfortunately will not work on 64 bit versions due to mandatory code signing of drivers. 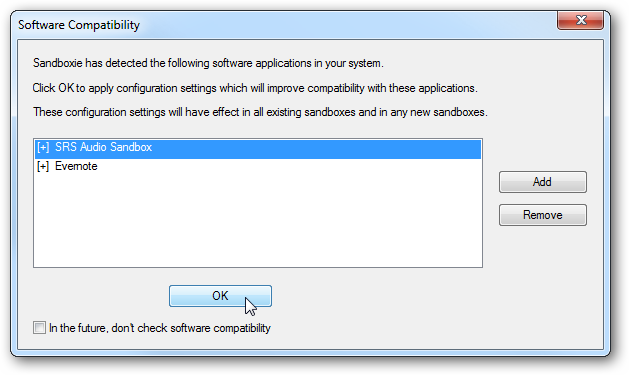 After installing you may get a software compatibility screen to improve compatibility with certain apps. 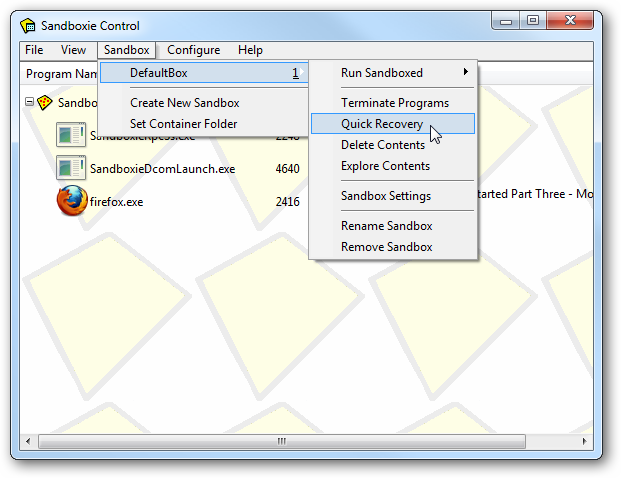 Now you’re ready to start using Sandboxie. 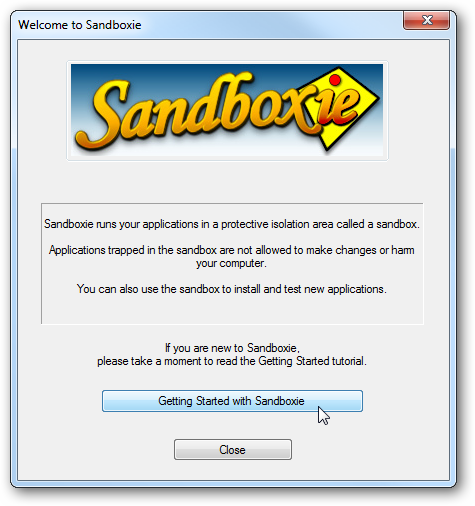 The first time you use Sandboxie, it’s an opportunity to see what running a browser in Sandboxie is like by going through the getting started tutorial in sandboxed mode. You can identify an application that is running in Sandboxie by the extra [#] indicators in the title bar. You can also browse for the program or file you want to run in Sandboxie. 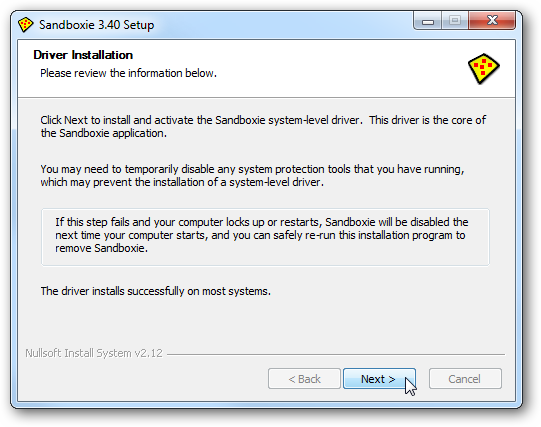 Here we will take a look at how Sandboxie works. 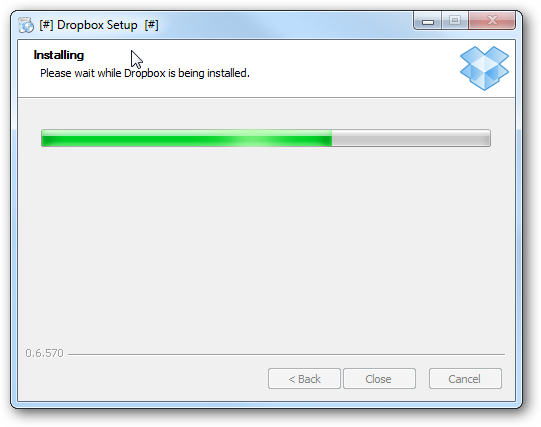 In this example, I opened Firefox in Sandboxie and started to download Dropbox. Notice the installation is happening in the sandboxed environment represented by the [#] indicators. Anything you do with a sandboxed app will open everything in a sandboxed environment. For example, here I am running DropBox in the sandbox. 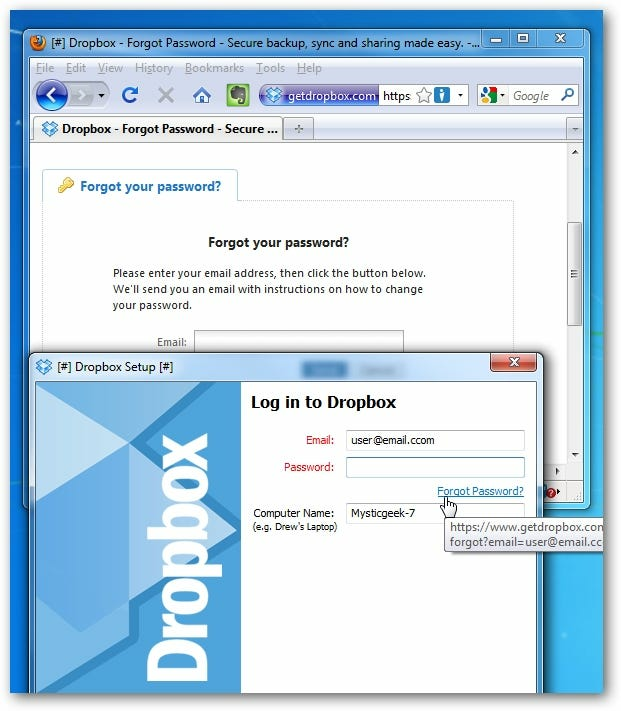 When clicking on the Forgot Password link, it opens up Firefox (or whatever the default browser is) in sandboxed mode as well. No changes will be made to your actual system so after a file is downloaded, a screen will pop up asking if you want to recover it to your system (files are saved in the Sandboxie Directory you install it to). After you get used to Sandboxie you can disable this screen from showing. 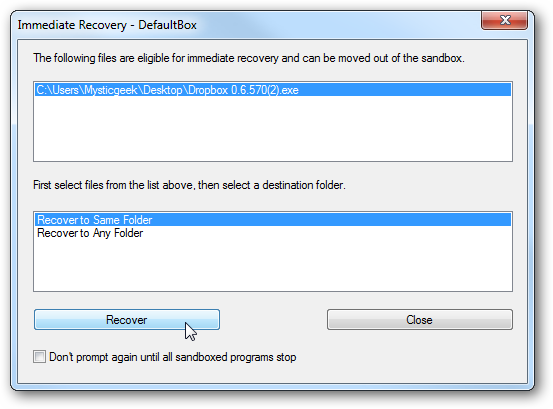 To recover a file in Sandboxie control go to Sandbox \ DefaultBox \Quick Recovery. 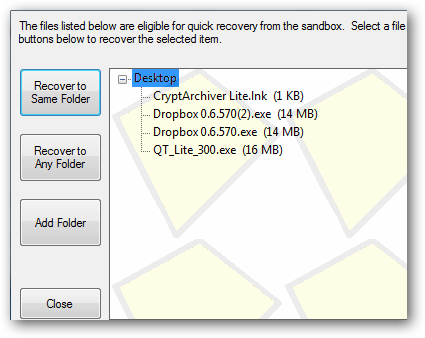 Now you can choose files and folders you want to recover from the sandbox and here you can also add folders. You can send apps to the sandbox from the context menu. You can also run them directly in the sandbox which comes in very handy when you’re not sure what an application might do to your system. Sandboxie is a free application for personal use, but after 30 days you will get a reminder screen wanting you to purchase a license. There are good reasons to run apps in a sandboxed environment which we touched on earlier. You can use it to make your web browsing sessions safe and to test out programs and other apps before actually installing them on your system. It can also help in avoiding spyware bundled in a program by installing it to the sandbox first. It works on Windows XP, Vista, and ran successfully on Windows 7 Ultimate 32-bit for this article, 64-Bit is not supported.